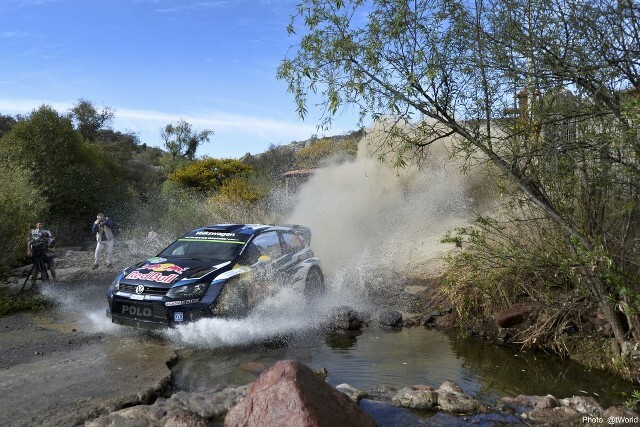 After three rounds in the space of seven weeks, the WRC is taking a 45-day break between Mexico and Argentina. After that, action will resume at the rate of two events per month until November. Between the finish of Rally Mexico and the start of Rally Argentina, WRC fans will have to find alternative entertainment for a month-and-a-half. For the teams, though, the six-week break provides a chance to get in some valuable testing. The championship’s next port-of-call is Argentina (April 23-26) which features a new-look itinerary, with the start and a super-special in Merlo, San Luis province, around 250km from Villa Carlos Paz! This year’s programme will trade the loop near Santa Rosa de Calamuchita for extra stages to the north of Carlos Paz, with one long test on Friday and Saturday (‘Agua de Oro/Ascoshinga’, 52 km / ‘San Marcos/Characato’, 56.50km) to be tackled twice each, plus two new stages. Sunday’s run will include two attempts at ‘El Condor’. The contrast between the fast stages of the gentle Calamuchita Valley, rugged roads in the plains of the Punilla Valley and rocky, narrow mountain tracks. Sandy gravel roads become heavily rutted for the second pass and moving out of the ‘rails’ can pitch a car off the road. Many river crossings in the valleys which become wide and deep in wet weather. Rally de Portugal (May 21-24) will mark the biggest single change of the season as the event switches form the Algarve region to the north of the country. It will be based at the Exponor centre in Matosinhos, near Porto, with the start in the UNESCO world heritage-listed town of Guimaraes, followed by a super-special round the Lousada rallycross track. The dirt roads near Braga will host WRC action for the first time since 2001 and will consequently be new for practically all the crews. The longest tests will be ‘Fridao’ (37.67km) and ‘Vieira do Minho’ (32.35km) and the event will conclude with a Power Stage in Fafe where a huge turnout is expected! After that, the championship will travel to the heat of Sardinia (June 11-14) where Round 6 will be based once more in Alghero. That said, the opening super-special (SS1) will take place in Cagliari, from where crews will head for nine stages the next day on their way back to Alghero. Saturday’s menu includes two 37.50km tests (‘Monte Lermo’ and ‘Coiluna/Loelle’) in the island’s centre, before the final four stages to the north near Porto Torres on Sunday. Some 128km will be new. More details later of the summer rounds in Poland, Finland, Germany and Australia! Andreas Mikkelsen believes his podium at Rally Guanajuato Mexico augurs well for the WRC’s return to northern Portugal in May. 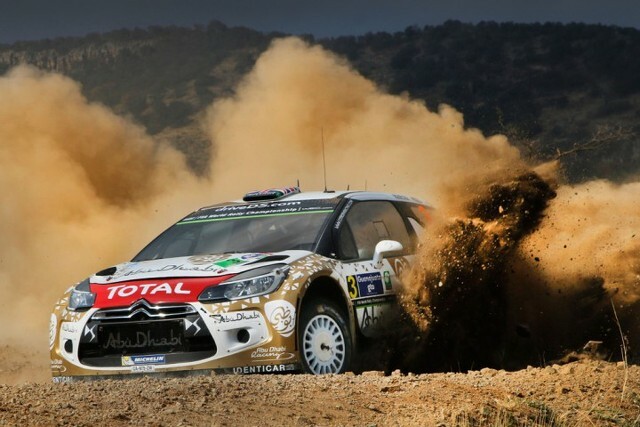 Third on the season’s opening gravel round came after a cautious drive over roads on which he had little experience. He drove many for the first time after his Mexican debut in 2014 was disrupted by two crashes. Vodafone Rally de Portugal (21 - 24 May) heads north for the first time since 2001 after a spell in the south coast Algarve region, and Mikkelsen reckons he can deliver a similar performance on stages that will be new to all frontrunners. “I’ve always struggled a little bit in Portugal in previous years to be on the pace, but I believe what we did in Mexico gives me the confidence to go fast there,” said the 25-year-old Norwegian, who will drive the 2015-specification Volkswagen Polo R for the first time there. Mikkelsen highlighted the benefits that knowledge of the roads made to his consistency and speed in Mexico. “Second time through we were not really far behind on pace and still there is big room for improvement, but at this pace you really need to know the stages to go fast and safe at the same time. “You can go fast, but then you probably do a mistake and you can retire. To be like Seb Ogier and the other guys who are really putting in good stage times and consistency, it has to do with experience. “We tried to be consistent driving the stages first time through and the second time we tried to increase the pace,” he said. 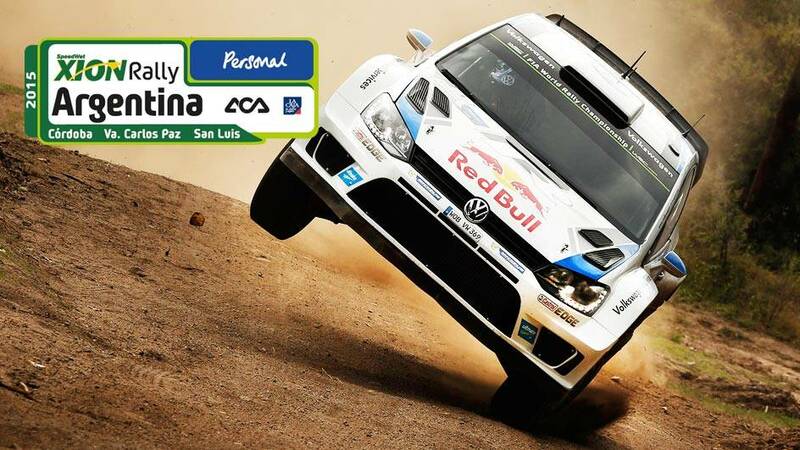 Sébastien Ogier, Jari-Matti Latvala y Andreas Mikkelsen serán los pilotos del Volkswagen Motorsports I y II en el Xion Rally Argentina, cuarta fecha del Campeonato del Mundo de Rally FIA, que se llevará a cabo entre el 26 y el 29 abril con la organización del Automóvil Club Argentino. Dominadores absolutos desde su regreso al Campeonato del Mundo de Rally FIA WRC, El Volkswagen Motorsport con sus Polo R WRC son sin duda el equipo a batir en el certamen y buscan ampliar su dominio en Argentina, escenario que los tuvo como ganador el año pasado. 25 victorias en 29 carreras que llevan disputadas desde su vuelta al Mundial hablan de la contundencia de la escuadra alemana que tan solo cedió el escalón más alto del podio ante los triunfos de Hyundai en Alemania y las victorias post retiro de Sébastien Loeb, precisamente la última de ellas en el Rally Argentina 2013. La cita sudamericana no parece ser la favorita de Sébastien Ogier, la carta fuerte de VW. El bicampeón mundial, que como es habitual tendrá a Julien Ingrassia en la butaca derecha, nunca ganó en nuestro país e incluso perdió una chance inmejorable en 2011 cuando largó el último especial como líder pero con el auto muy golpeado debido a un vuelco en un tramo anterior. El francés encarará su sexta participación en Argentina, con dos segundos puestos en las últimas dos ediciones. Jari-Matti Latvala, por su parte, tiene un buen recuerdo reciente de las sierras cordobesas. El finlandés consiguió en 2014 su primera victoria en este rally luego de seis intentos y quebró la seguidilla de nueve triunfos de Citroën en carreras válidas por el WRC en Argentina. Ahora, junto con su navegante Miikka Anttila, buscarán su primer festejo en la temporada y fundamentalmente revertir los dos abandonos consecutivos que acumulan desde el Rally de Suecia. El tercer VW Polo R WRC, el único integrante del Volkswagen Motorsport II, estará comandado por Andreas Mikkelsen y Ola Floene. Será la cuarta visita del noruego a Villa Carlos Paz e intentará finalizar entre los tres de adelante por primera vez en Córdoba y estirar a cuatro su racha de podios consecutivos conseguidos en este año. Con las máquinas del equipo aleman, ya son ocho los vehículos de la clase mayor confirmados para el Xion Rally Argentina. Los tres i20 de Hyundai, más los Ford Fiesta WRC de Martin Prokop y Lorenzo Bertelli esperan al resto de los World Rally Cars que animarán la 35ta edición de este evento. Además, la cita argentina contará con los mejores exponentes del Campeonato Sudamericano de Rally FIA Codasur y del Campeonato Argentino de la especialidad. El plazo permanecerá abierto hasta el próximo 25 de marzo y es para todos los pilotos que quieran participar por el Campeonato del Mundo de Rally FIA. El Xion Rally Agentina 2015 comienza a ultimar detalles de cara a su 35ta edición y se conocen más detalles del recorrido. La competencia organizada por el Automóvil Club Argentino se llevará a cabo entre el 23 y el 26 de abril y será la cuarta fecha del presente Campeonato Mundial de Rally FIA. Atentas a la pasión que despierta el Rally Argentina varias marcas han decidido reforzar su vínculo con la competencia. De esta manera, el itinerario del evento tendrá algunos tramos clásicos con nombres propios. La acción del Rally Argentina no puede vivirse más de cerca que en el Súper Especial “Fernet Branca” que se llevará a cabo a las 17:03hs del viernes. 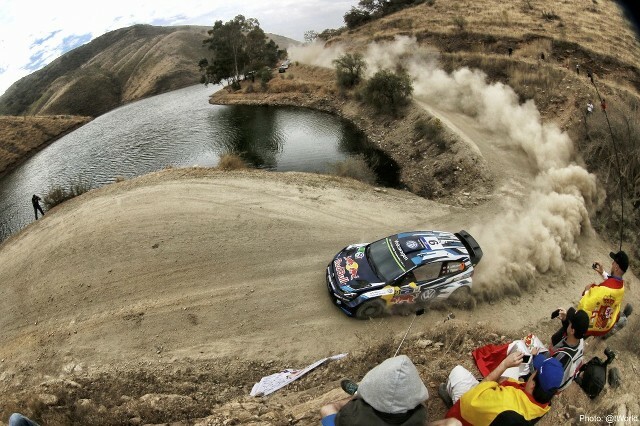 Será una chance única para ver los derrapes y saltos de los World Rally Cars en el circuito del Parque Temático de Villa Carlos Paz, un escenario de fácil acceso, cómodo y seguro para todos los espectadores.